Ever since becoming caffeine sensitive about 9 years ago, I've become a huge tea lover. No tea bothers my caffeine sensitivity so I don't limit myself (I do stay away from Yerba Mate and Oolong) and love to enjoy tea hot or iced. 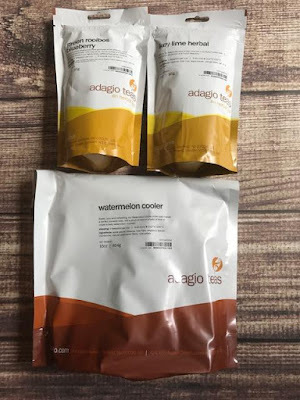 When Adagio asked me for a review I quickly obliged. 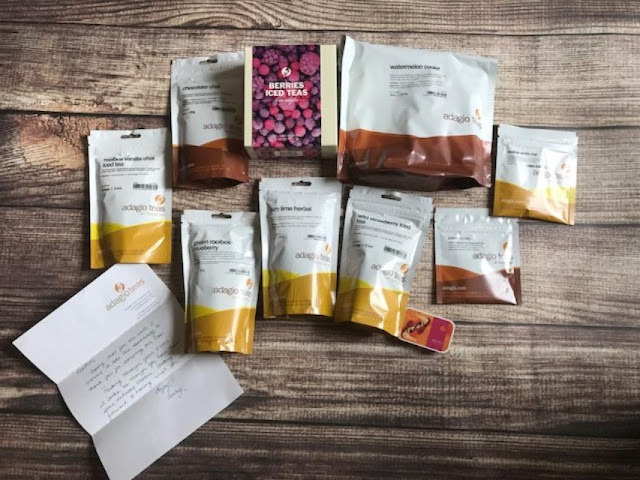 I can't turn down the chance to try some good loose leaf tea! I received a gift card so I could pick exactly what I wanted and man was it a hard decision! I finally settled on a 1lb bag of the Watermelon Cooler Herbal Tea (which I can enjoy hot or iced), a Berries Iced Tea Sampler, Chocolate Chai, Green Rooibos Blueberry, Key Lime Herbal, Wild Strawberry Iced Tea, Rooibos Vanilla Iced Chai. 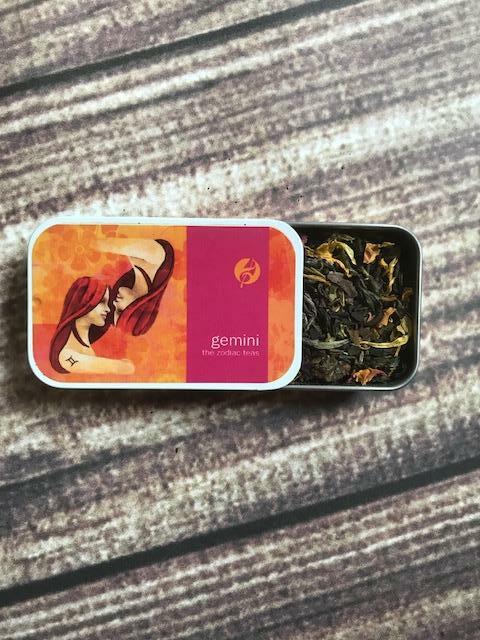 I also got a sample of a Gemini tea and a couple other free samples they sent. All the tea I've tried so far is amazing and I have 0 complaints about any. Their tea is of a high quality and it brews flawlessly. Just follow the time on each bag and you're good to go. Nothing gets bitter and it's all pretty strong tea compared to some others I've tried where you need to double the amount to get any flavor out of the tea leaves. The variety of tea they offer is awesome. 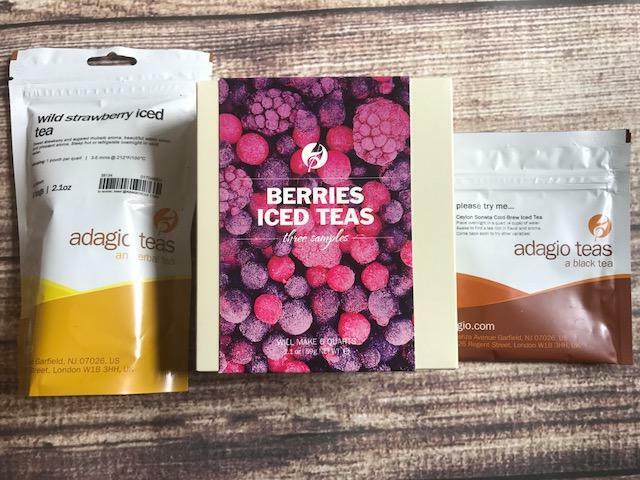 You can choose from the type of tea you want, or iced tea, or tea bags. They make it very simple and the best part is you don't need to order loose leaf, you can get bags as well. Loose leaf tends to scare some people, but it's really easy I promise!! When I first started drinking loose tea (about 4 years ago), I bought a tea tablespoon and a reusable tea infuser and it makes it incredibly easy to use loose leaf! Price: Everything varies, but I've found it's very competitive with other high end, quality brands. Overall: ***** So far I'm happy with everything I've tried. 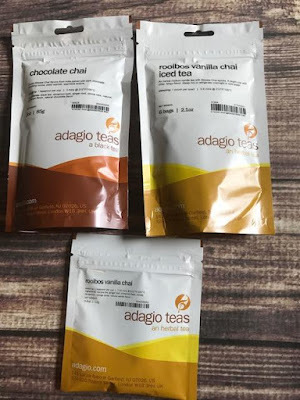 I LOVE Adagio teas! Your review is spot on! The Green Rooibos Blueberry sounds divine!